This recipe came about when I had the tops of two mud cakes in the refrigerator (leftover from a birthday cake I made for my godson), and cream cheese that I always have in my refrigerator. By the tops of the mud cake, I mean the part you cut off to level out a cake, the dome shaped part. So on a quiet day I went about thinking about what I could create with the cake, so that the cake does not go to waste, and these cheesecake balls were made. They are so nice, creamy, moorish. The alcohol of my choice is a Croatian Dark Rum, it is truly the most delicious thing when put into a dessert. I love. love, love it! But you can quite easily add Tia Maria, Kahlua etc. As for the coating, I loved the coarsely crushed Macadamia nuts, but you could use whatever nut you like. If you prefer no nuts, go with cocoa, chocolate sprinkles, whatever you like. Now the quantities are a bit of throw in a bit of this and a bit of that in. But I'll get it as close as I can to what I did. When I remake them, I'll do a proper measure. In a food processor add the cake crumbs. Add in the chopped softened cream cheese. Blitz until you get a smooth mixture. Pour out the mixture into a mixing bowl. Add the rum in, a tablespoon at a time, mixing well between additions. 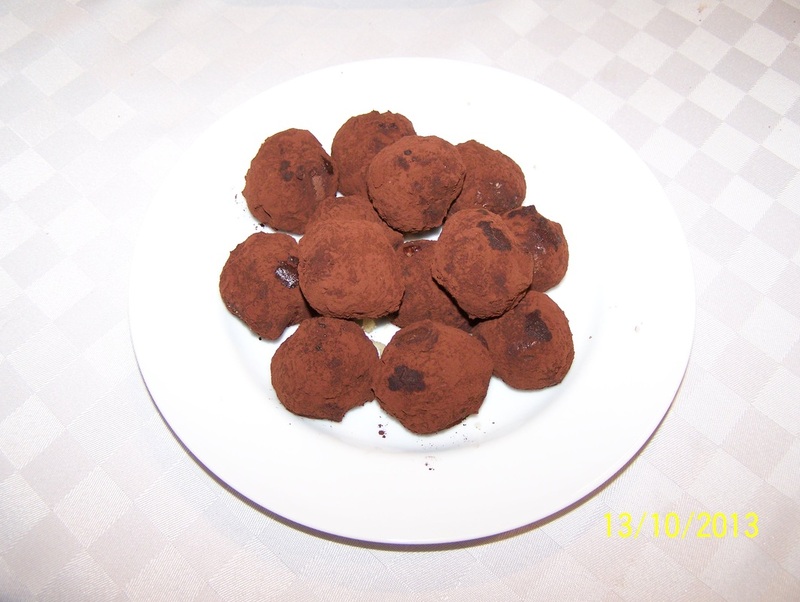 Here you will need to taste as you go, keep adding a tablespoon of rum, then mixing, until you are happy with the flavour. Refrigerate for an hour or 2 until the mixture sets. 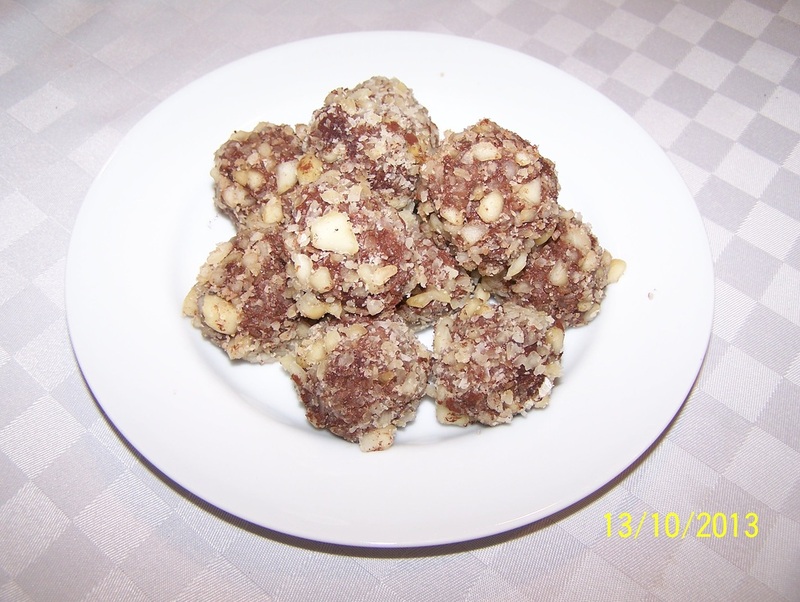 Once set, make teaspoon sized balls and roll them in whatever you like, I like crushed nuts. Refrigerate until needed.